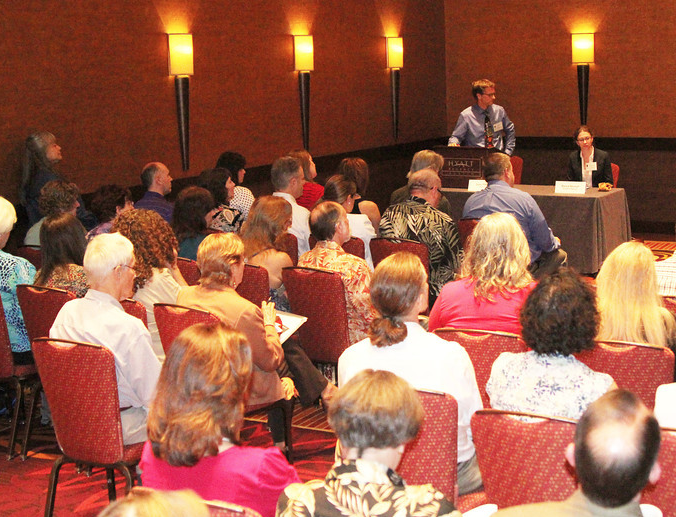 Writing Day Workshops is excited to announce The 2019 Writers Conference of St. Louis — a full-day “How to Get Published” writing event in St. Louis, MO, on March 29, 2019. This writing event is a wonderful opportunity to get intense instruction over the course of one day, pitch a literary agent or editor (optional), get your questions answered, and more. Note that there are limited seats at the event (125 total). All questions about the event regarding schedule, details and registration are answered below. 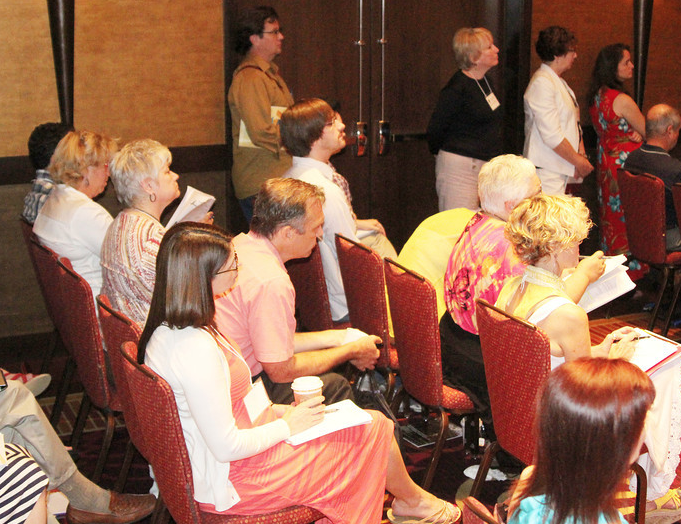 Thank you for your interest in the 2019 Writers Conference of St. Louis! This is a special one-day “How to Get Published” writing workshop on Friday, March 29, 2019, at the Marriott St. Louis Grand. In other words, it’s one day full of classes and advice designed to give you the best instruction concerning how to get your writing & books published. We’ll discuss your publishing opportunities today, how to write queries & pitches, how to market yourself and your books, what makes an agent/editor stop reading your manuscript, and more. No matter what you’re writing — fiction or nonfiction — the day’s classes will help point you in the right direction. Writers of all genres are welcome. By the end of the day, you will have all the tools you need to move forward on your writing journey. This independent event is organized by coordinator Kimiko Nakamura of Writing Day Workshops, with help from Saturday Writers, a chapter of the Missouri Writers Guild. 9:30 – 10:30: “An Overview of Your Publishing Options Today,“ taught by Clayton Lindemuth (bio below). This workshop examines the two largest routes any writer can take with their book: traditional publishing and self-publishing / e-publishing. We will examine the upsides of both routes, the challenges with both, and the next steps no matter what you decide. In today’s publishing world, a writer has to understand what they’re in for before they send their book out. This session is designed to prepare them for what’s to come and what options exist. Clayton is a successful author who has had both books traditionally published and self-published. 10:30 – 11:45: “Everything You Need to Know About Agents and Query Letters,” taught by Kimiko Nakamura (bio below). This workshop is a thorough crash course in dealing with literary agents. After quickly going over what an agent is and what they do for writers, we will discuss resources for finding agents, how to ID the best agents for you, query letter writing, as well as the most important things to do and not to do when dealing with representatives. 2:50 – 3:50: “Social Media & Demystifying Platform,“ taught by Eric Smith (bio below). This workshop will discuss the importance of an author’s platform. We’ll discuss why publishers insist on seeing a platform for a nonfiction author, how they wish to see a growing one (even small) for a novelist, how you can potentially build one if you don’t have one yet, and why being an “expert” is so important. Are they selling you or selling the book? Surprise, it’s both. This class will help you understand the very basics of marketing yourself and your book(s) online, whether you’re traditionally published or self-published. 4:00 – 5:00: “How to Make Your Writing Better — Understanding Dialogue, Plot, and Character,“ taught by Vicki Selvaggio (bio below). Literary agent Vicki Selvaggio will walk you through how to make your manuscript better and ready for the eyes of both agents & readers. Understand what makes dialogue crackle, what makes up an effective plot, and how to get readers invested in your characters — no matter what genre you’re writing. Eliza Rothstein [SOLD OUT OF PITCH APPOINTMENTS] is a literary agent at Inkwell Literary. Prior to joining InkWell, Eliza worked for The Susan Golomb Literary Agency. Her interests include literary and mainstream/upmarket fiction, suspense novels, narrative nonfiction, memoir, popular science, and food writing. Eliza studied Comparative Literature and Art History at the University of Pennsylvania, and is a graduate of the Columbia Publishing Course. She is also a founding member of City Readers, a nonprofit organization committed to providing books for public and charter schools in New York City. Victoria Selvaggio is a literary agent with Storm Literary (formerly with Jennifer De Chiara Literary). She is seeking: “I am currently looking for lyrical picture books, middle grade and young adult fiction, new adult, mysteries, suspense, thrillers, paranormal, fantasy, narrative nonfiction, adult fiction but find I’m especially drawn to middle grade and young adult. I especially love thrillers and all elements of weird, creepy stuff. If it’s out of the box, and it will make me think and think, long after I’m done reading, send it to me! On the flip side, I yearn for books that make me laugh, cry and wonder about the world.” Victoria comes to Storm Literary Agency as a literary agent and partner. Previously with The Jennifer De Chiara Literary Agency, she was drawn to the publishing scene first as an author. As a prior regional advisor for SCBWI Northern Ohio, Victoria’s desire to help writers and illustrators reach their publications goals inspired her to become an agent. With over twenty-five years as a business owner, Victoria is excited to help grow the agency’s client base with talented writers and illustrators, while also helping build the agency from within with motivated agents who possess the same ideals, literary interests, goals, and approaches to the industry. Patty Carothers is a literary agent with Metamorphosis Literary. She is seeking: Anything young adult, with an innate fondness for contemporary stories whose characters she’d want to claim as her BFF’s. She’s also looking for paranormal (romance or not) and horror. Patty has been in love with stories for as long as she can remember. She is a certified copy editor and an Oxford comma fangirl. Her adoration of all things comic book related and YA has morphed into her co-writing the Texting Prince Charming series. Engaging and realistic characters that bounce off the pages through witty and thought-provoking dialogue are a thrill for her to read. Although, most days the real question lies with a simple: Is she team Marvel or team D.C.? Kortney Price is a literary agent with Corvisiero Literary. In middle grade, she enjoys adventure or survival stories, mysteries, sci-fi, steampunk, fantasy, contemporary, and graphic novels. In young adult, she enjoys “geeky: or “artsy” romance, magical realism that is just dripping with atmosphere, historical, psychological thrillers, fantasy of any kind (atmospheric historical or retellings of unique myths, culture based high fantasy are her favorites), science fiction (especially near future, but space opera is also welcome), and steampunk. For adult fiction and new adult fiction, Kortney is only looking for select sweet romances that are light and so funny she can’t even stand it or romantic suspense with just a little bit of grit and a whole lot of intrigue. Kortney was (and still is) that person in the bookstore who recommends books to strangers based on what they’re buying. When she realized that she could make a career out of helping authors and getting excited over books, she decided to pursue a career in agenting. So, after graduating with a B.A. in English from Greenville University, she interned with Andrea Hurst & Associates and Inklings Literary Agency. She was an associate agent at Holloway Literary before finding her home with Corvisiero. Lauren Miller is a literary agent assistant at Metamorphosis Literary. At the conference, she is taking pitches on behalf of all her co-agents and their categories/genres. That means she is eager to meet attendees who write the following: any kind of young adult (including series potential), adult science fiction and fantasy, thrillers, romance (any kind) general/contemporary fiction, LGBTQ+, women’s fiction, book club reads, quirky humor, middle grade, historical fiction, cozy mysteries, women’s fiction, suspense, and #ownvoices. About Lauren: Known for her frequent childhood disappearances, the last place Lauren was seen was in the fairytale section at her local library. All grown up, her passionate love for books resulted in Lauren receiving a Bachelors degree in Anthropology, and a return to the library where she now works and reads. When not reading, Lauren is most likely spending time with her husband and their wily cat or adding to her period film collection. New agents may be added for the 2019 event at any time. Check back. $169 — EARLY BIRD base price for registration to the 2019 WCSTL and access to all workshops, all day, on Friday, March 29, 2019. As of fall 2018, event registration is now OPEN. Add $69 — for an in-depth, personal critique of your one-page query letter from Chuck Sambuchino, former longtime editor of the GUIDE TO LITERARY AGENTS for writer’s Digest Books. (This rate is a special event value for STL Workshop attendees only.) Registrants are encouraged to take advantage of the specially-priced critique, so they can send out their query letter with confidence following the workshop. Also, if you are meeting with an agent at the event, you’re essentially speaking your query letter aloud to them. Wouldn’t it be wise to give that query letter (i.e., your pitch) one great edit before that meeting? Young adult and middle grade: Faculty member Whitley Abell, a former literary agent with Jennifer De Chiara Literary, will get your work in advance, edit the first 10 double-spaced pages of your book, and discuss her thoughts either through Skype following the event, or e-mail communication. Whitley was formerly a kidlit-focused literary agent, and now is the youth programmer for the St. Louis County Library. Thriller, mystery, suspense, crime: Faculty member Clayton Lindemuth, a successful thriller writer in both traditional publishing and self-publishing, will get your work in advance, edit the first 10 double-spaced pages of your book, meet with you for at least 10 minutes at the workshop to discuss thoughts, and pass along written critique notes at the meeting. His novels have been recognized and praised by Publishers Weekly (starred review and best of the week), Kirkus, Seattle Book Review, Manhattan Book Review, San Francisco Book Review, Portland Book Review, Indie Reader, Reader Views, Indie Next list (Dec. 2012), and more. Literary fiction, mainstream fiction, women’s fiction, memoir [SOLD OUT OF CRITIQUES]: Faculty member Kimiko Nakamura, a literary agent and co-coordinator of the St. Louis Writing Workshop, will get your work in advance, edit the first 10 double-spaced pages of your story, meet with you for at least 10 minutes at the workshop to discuss thoughts, and pass along written critique notes at the meeting. Kimiko is a literary agent with Dee Mura Literary, and an accomplished freelance editor. She is helping to coordinate the 2019 St. Louis Writers Conference. Southern fiction, literary fiction, mainstream fiction, women’s fiction: Faculty member Lorna Hollifield, a published Southern fiction author, will get your work in advance and edit the first 10 double-spaced pages of your story. Lorna is the author of the upmarket Southern fiction novel, Tobacco Sun, and is represented by Kimberly Whalen of Whalen Literary. She is a former officer with the South Carolina Writers Association. Unlike some other critiquers listed here, Lorna will not be at the STL event to meet with writers for 10 minutes each. Instead, she will be available for 10-minute Skype meetings for each attendee critique. Learn more about Lorna at her website. How to pay/register — Registration is now open. Reach out to workshop organizer Kimiko Nakamura via email: WDWcoordinator@gmail.com, and she will provide specific instructions for payment and registration to get you a reserved seat at the event. Payment is by either PayPal or check. Because Kimiko plans different workshops, make sure you note that you’re inquiring about the St. Louis workshop specifically. Because of limited space at the venue of the Marriott St. Louis Grand, the workshop can only allow 125 registrants, unless spacing issues change. For this reason, we encourage you to book sooner rather than later. How to Register: The easy first step is simply to reach out to workshop organizer Kimiko Nakamura via email: WDWcoordinator@gmail.com. She will pass along registration information to you, and give instructions on how to pay by PayPal or check. Once payment is complete, you will have a reserved seat at the event. The BWW will send out periodic e-mail updates to all registered attendees with any & all news about the event. Because Kimiko plans different workshops, make sure you note that you’re inquiring about the St. Louis workshop specifically.